Nine months sounds like plenty of time to prepare for a baby’s arrival. That is, until you’re the one counting down for your own baby. After the initial shock of finding out I was pregnant subsided, the excitement set in. And then the blessed hormones of pregnancy turned me into a crazy woman. From stressing about nursery decorations to worrying that my figure was starting to resemble the Incredible Hulk to going on a cleaning rampages until every inch of our townhouse was organized, I was a basketcase. AND, on top of all my irrational behavior, there were some very real financial preparations Johnny and I had to make before Baby Girl arrived. 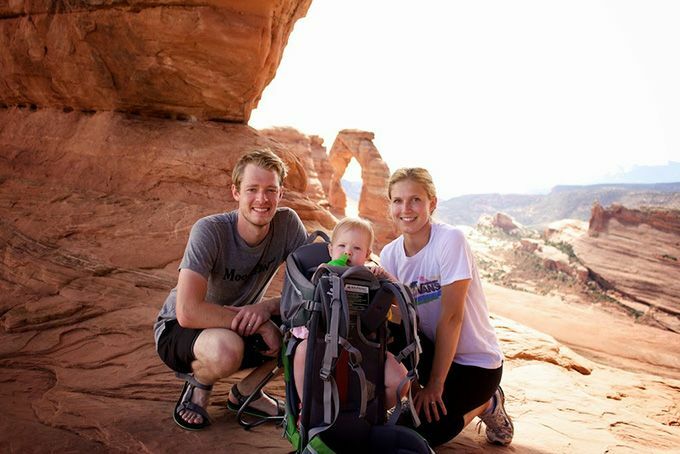 Suddenly nine months wasn’t nearly enough time for these parents-to-be. Pregnancy means lots of appointments. They start out once a month in the beginning and become weekly by the end. Even if you have a small copay, such as $15, you end up paying hundreds by the end. We had a $15 copay for the first appointment, since that’s when pregnancy is “diagnosed.” P.S. I hate that that’s the term they use. Under our insurance plan, all subsequent copays were waived. But every insurance plan differs. Once again, depending on your insurance, these can be a beast, so look into how much your insurance covers. With our old insurance, we had to pay about $150 each time. And that time we had to go twice in one day because Baby Girl refused to change positions for the ultrasound tech? Yeah, they charged us for both visits. OUCH. I read everything I could get my hands on about pregnancy. When all was said and done, I had 6 books I was reading about pregnancy/preparing for a baby. And Johnny and I purchased four of those. At at least $10 a pop, we spent $50 right there! But I’ve always been a bit of a bookworm, so maybe other parents-to-be won’t have to worry about this expense. Also, there’s always the library. Want to know my favorites? I was determined through most of my pregnancy to just keep wearing my same clothes. Even with my stubbornness, I ended up purchasing two pairs of maternity jeans and several shirts. I would say we spent a solid $150 on maternity clothes. And Johnny’s shirts? Yup, I took over those as well. This expense is the motherload expense. 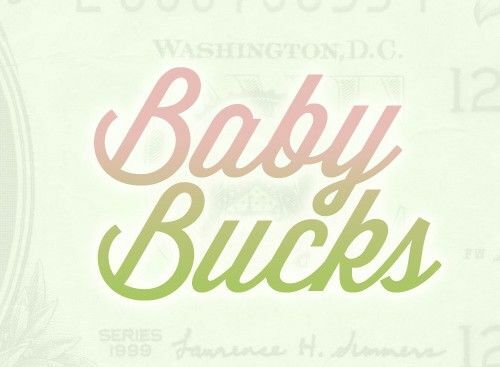 We budgeted $1000 for everything: nursery furniture, stroller, car seat, baby clothes, etc. And without gifts from family and friends, we definitely would have gone over that number. Confession: One day alone I spent $600 on Amazon. That was doozie, but it sure put my crazy nesting mind at ease. Johnny and I took a baby care class, which was $20. We considered a labor class as well, which would have cost us $80. If for no other reason, these classes are great for preparing mentally for having a baby. And that baby care class was well worth the money just to see Johnny carefully diapering and swaddling a baby doll. Before Baby Girl was born, Johnny and I met with an HR representative from our respective employers to figure out our companies’ policies on maternity and paternity leave. Johnny’s leave was with 100% pay, but mine was not, so we had to budget for a few weeks of a little less cash flow. Our companies required that we fill out forms in advance in order to ensure the maternity/paternity leave was a seamless transition. Stressing about such details while still adjusting to the wailings of a newborn would be a terrible combination, so we were glad to know the financial details of our leaves in advance. If you’ve been doing the numbers as I’ve gone down the list, then you already know that Baby Girl cost us over $1500 before she even made her debut! I never would have guessed that when I first got pregnant. Thankfully Johnny and I were able to handle the expenses just fine, but it sure would have been nice to have a heads up. Want to take a guess what Baby Girl has cost us since her arrival? That’s in tomorrow’s post. If you’ve had a baby, how do our expenses line up with your own? If not, have these numbers scared you off from ever reproducing? When I had my first at nearly 31, I wasn’t labelled in any way, but for my second at 38 I was tagged as a “geriatric mother”. That’s got to be a term a man came up with! Our prebirth expenses amounted to maybe $250 for a stroller and car seat. We were given a crib, and received all the other basic linens and clothing as shower gifts and kept it pretty simple. There were no medical costs associated with pregnancy or delivery (Canada). Forgot to mention. I bought two XL men’s tshirts for sleeping ($10?). Other than than I wore my loosest clothing as long as possible and then switched to a bag of maternity clothes a friend loaned me while she was between pregnancies. My aunt is a great sewer and also made me a blouse and shirt for days when I needed to be a little dressed up at the office. The rest of the time my loaned clothing got me through. I also borrowed a couple of my husband’s sweatshirts for weekends. Very few professions still require very formal office wear, so with very few basics you can do fine. You’ll do laundry more often and really be sick of those clothes by the end, but it’s only really about 4 months that you need actual maternity clothes. I had 3 prs of pants, 1 skirt, and about 6-7 tops and that was plenty. On weekends if you have leggings and big tshirts you’re fine. No kidding… I’m offended, and it isn’t even me who was being called that! So ridiculous. Your pre-birth expenses weren’t bad at all! And I’m right there with ya with wearing men’s t-shirts during pregnancy (and at night even still!). It makes nursing so much easier! All the number DO scare me so I’ve started saving $50/month towards a baby fund for when the day comes, lol. Your expenses look pretty good to me and measure up pretty well to what ours was. Nine months SEEMS like a long time, but when you’re trying to prepare for all that comes with it, it goes by in a flash. One thing I would also add would be saving for any lost wages, in case the Mom works. You’ll want to have money set aside to cover any shortages from ST disability or whatever else the employer provides. Great point, John! We didn’t set aside extra money for my ST disability, but that would have been a great idea… we had four weeks of only 60% pay (from ST disability), which was no fun! I think pregnancy also gets classified as a short-term disability, right? Funny designations! Yes! One plus side to that is getting to board early on flights! I took advantage of that at 25 weeks, and I’m pretty sure everyone was giving Johnny and me the evil eye. But I plan to do it again the next time I’m pregnant! I don’t really remember the costs before our little guy was born, but we never paid a co-pay for any office visits/ultrasounds/etc since my wife’s insurance has no co-pay. I know we hit out max out of pocket for the year which was $8000, but that is because my wife ended up with severe pre-eclampsia/toxicity (don’t ever ask her how much she hates magnesium) and ended up with an emergency c-sections. So during that time we had visits from her OB, and a cardiologist along with an in-room x-ray thingy. Then our little guy spent 10 days in the NICU where he was visited twice a day by the on-call pediatrician. I do know the total bill (or at least what was billed to insurance) was around 95K when it was all said and done. 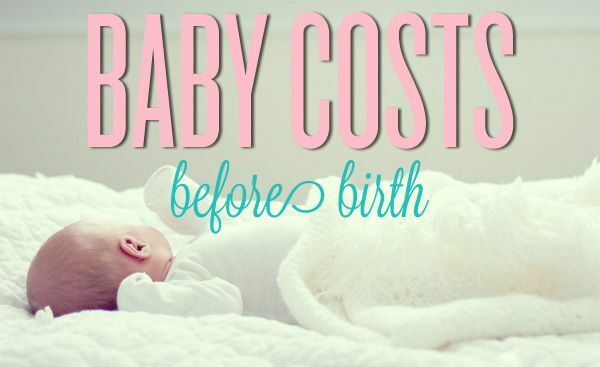 So I am going to guess your baby cost another $3K…. I’m sure that was a crazy time, and I’m glad it all turned out okay in the end! At the time the cost of it all was probably the last thing on your minds, so it’s great you guys didn’t have to pay anywhere close to the $95k. Nuts! Time and again Johnny and I have discussed how difficult pregnancy/birth/becoming parents is WITHOUT extra complications. You guys are tough cookies. Well, speaking for myself personally, I’ve never had a baby, although my wife has stepped up and given birth to two for the team ! Your “pre-baby arrival” costs seem to be reasonable. Having had two of our own, however, I might warn you that you ain’t seen nothing yet – wait till they become teenagers (with the fridge door open – 24/7) !!! Btw, as to paying for baby books (or any types of books, for that matter), in the last few years I’ve gone the e-book reader route. I now download all the free e-books to my kindle (and/or to my desktop) that I want, saving me the need to go to the library or bookstore. Let me know if you’d care for some ebook links and I’ll fire off an email to you. And I’m all about e-books! I read on my phone while I feed Baby Girl. I’d love any and all links you’d like to share, Rob! I hadn’t even thought about all the co-pays…yikes! I guess I’ve been viewing those 9 months as the homestretch effort of saving all you can — and had forgot to consider all the extra expenses. Good to know! I’m currently 5 months pregnant. Here is how every thing is going to cost me. My doctor’s office takes all the expected lab work, ultrasounds, and the cost of the delivery (just the hospital fees) and divides it into 6 payments so that they don’t have to worry about being after baby is here. I like it because it means that I don’t have to worry about a huge bill from them in a few months. This will cost me $1050. This is included in the above for me. I have only bought one book ($10) and am borrowing others as well. I have only spent $34 on maternity clothes and I have gotten enough to last me second hand from my sister and friends. Thankfully I am getting most of this second hand from my sister. I am also having a baby shower in 2 months, so hopefully the one big expense (car seat) I don’t currently have I’ll get or at least get gift cards to help with the cost. If not I’ll probably spent between $100-$200, (I haven’t really looked at car seats yet). I plan on taking a newborn care class and a breastfeeding class, the birthing class doesn’t really seem worth it. So for classes I am probably going to spend about $50. I am taking unpaid maternity leave, luckily I will be living at my parents’ house so I will have very few bills I will need to save up for during that time. So for me that is about $1250. Thank goodness for loving sisters who share. First of all, Jennifer, congrats!! You’ve got some exciting times ahead. I loved preparing for Baby Girl’s arrival. And oh my awesome on your expenses! That’s a really cool payment plan that your hospital does… it seems so much smarter than how most places do it. And that’s so great that your sister will be able to lend you most of the big ticket items!! It sounds like you are set up. Enjoy this time… before you know it, Baby will be here! My costs lined up pretty well with yours. It is funny, but since the little man has been with us, we have spent much less than we used to. That is probably preparing us for the very expensive day care that is coming up next month. That is going to be fun! We have spent less in some categories, too! Food for instance… now that I don’t have time to fix nice meals and we never go out, we are under our food budget each month! But you’re right… we better enjoy it while it lasts because those little boogers will start costing us really soon! Agreed! Seriously, every penny is worth it. It’s the hardest, best thing that’s ever happened to Johnny and me, but we’re trying to savor every moment! Apparently I need to also start a baby fund in addition to a wedding fund. Neither are a twinkle in my eye. But, it doesn’t hurt to be prepared! Totally, Michelle! Your future husband will be one lucky man marrying someone so financially prepared. We don’t have kids, but I think most people pay a LOT more than you do for health care. In fact, you are the only ones I have ever met who have a plan that essentially covers everything; most people it costs at least a few grand before their out of pocket cost is maxed out. I would definitely say the costs of having a child is a reason we are holding off for 6+ years (or planning to, at least). That was our reason for waiting. We didn’t want finances to be an additional stress in our lives. I have a ton of respect for people who figure out ways to make that work, but it wasn’t for us, so we waited. How much paternity leave did Johnny end up taking? When does Joanna plan to go back to work? Joanna’s planning on returning at the beginning of next month. So in the end, she’ll have taken two months off. And she doesn’t think that will be enough time either. But it’ll all work out. I remember the days of hormones out of sync and baby brain drain. Thanks goodness they are so darn cute and lovable. Isn’t it interesting all the things people forgot to tell us when we’re having kids – like it does hurt (yes, it is worth it but it still HURTS) and the money starts going out the door the minute you’re … diagnosed. is this really enough? 1500 are costs really that low? I just found out that my wife is pregnant. We both work but I am the bread winner. I have a good job and strong income, I also have great benefits from my job. My wife had a child with another man before we got together and became married. So we already have a boy who is now 6. We still have some things from when he was a baby. Things like car seats and strollers. My real concern is medical bills. My guess was around 5,000 but that was just a guess I really have no idea. Which means we would have to save around 500 a month. Which is doable for us, but will make things pretty tight as we are trying to buy our first house. If they are really only around 1500 that changes a lot. I also herd that C sections or much more costly. I know that insurance plays a big part in all of this. But I don’t really know the inter-workings. I’d love to know a ball park figure of a child cost from moment of discovery of pregnancy to the moment of birth. I know that my copay is $20 and my maximum out of pocket for a year is 1500. But I don’t know anything else about my insurance lol my wife probably knows more than I do. First and foremost, congrats! Such an exciting/scary/nerve-racking time. Really, the most expensive potential cost is the actual medical bills, and that totally depends on your insurance plan. You should give your insurance provider a call and ask what you might expect to pay for the next X number of months for copay visits and the actual delivery. Our insurance provider was actually surprisingly helpful during that process. And even if they can’t give you a ballpark number of the actual procedures, they can/will be able to tell you what your deductible is and out-of-pocket max which should give you a “worst cast scenario” ballpark. And that’s great that you’ve kept some baby stuff from the first kiddo. The costs can add up, but as I’m sure you’re aware, it’s all totally worth it. Best of luck to all three… four of you over the next few months! THANK YOU HEAPS for writing this! I’m about to read the next section (and most likely several other of your posts). My partner and I got married in February and pregnant the same week as the wedding (we thought, yeah right, it won’t happen on the first try… even though we chart cycles for BC as hormonal birth control makes my body NUTS). We have had one baby shower with my side of the family and we got a few small basics, but no big items (let alone the four gifts we received from absent family/friends from the 79 item registry… which I later moved to amazon and which is now a 100 item registry). I am in my 8th month out of 9 (9th out of 10 if you count LMP ….we know when we conceived, but due dates still seem so arbitrary and CONFUSING AS HECK) and I’m going CRAZY because I want everything ready and finished before baby arrives. We still have no car seat or crib (though we plan on co-sleeping). The house is no where NEAR finished being tidied up or organized. Husband still has to mount shelving/baby furniture things. Our state flooded a week ago which made everything insane; thankfully we’re just fine. 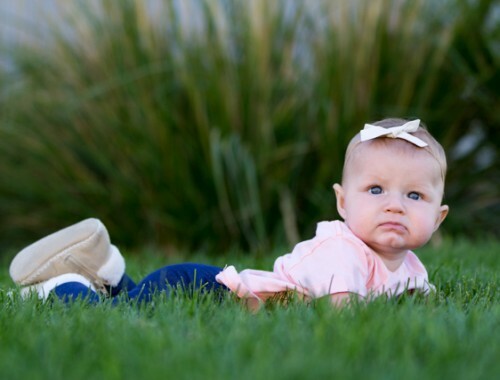 We have a few baby clothes and a registry list that no one seems to look at… ever. We have a midwife who works with a specialist doc for ultrasounds (going in for our last one to check “positioning,” because we plan on having a home birth). The cost for the midwife (yay home visits, boo co-pays on ultrasounds and bloodwork checks) with the doc are around $1300 pending a home birth with no complications. We are getting ready to begin birth class and a hypno birthing class this week (both free – one included with our midwife services and one because a dear friend of mine is an out of state birth coach/dula). EVERYTHING feels so fast and INSANE! It’s CRAZY! For a completely NORMAL and natural process, everything even remotely connected with the words “pregnant,” and “baby,” seem jacked up in price. Thank you for sharing your experience, and sorry if this comment is too long winded… I am currently trying NOT to just “buy the damn things,” off our Amazon registry: carseat, carseat mount, swaddling blankets, diapers and covers, etc. I hope we make it through the countdown until Baby Boy arrives between Halloween and November 7th (my 30th birthday). Whew! Cheers for reading my rantings. I came across this older post and I love it! We’re about to have a baby in April 2016 and I’m going through a birthing center with nurse midwives, so long as everything goes ok with the birth (and I don’t need to be transferred to a hospital). Strangely, they bill after the baby is born so I am not paying copays on my visits (they are technically a non-profit, so that might have something to do with it). My ultrasounds (which I had to do at a nearby hospital) were covered 100% which is nice. I got lucky and have great insurance for myself at my job… the downside is adding a kid is really expensive so we’re looking at getting CHIP in our state since there is no income maximum and we’ll be looking at around $240/month for health insurance, which is cheaper than adding a kid to my current health plan (my spouse isn’t on my health insurance for the same reason–cost). I will say, we’ve done excellent buying things second hand so we’re not spending nearly as much on baby costs. We got a $450 crib for $100 on craigslist and a great jogging stroller for $20. A friend of mine has let us borrow a car seat and a pack ‘n play and my in-laws are gifting us a changing table. The only thing I’m spending money on slowly are cloth diapers which I’m trying to stock up on beforehand. Also, another big required expense we did have to pay for are 3 classes the birthing center requires which did set us back $360, but by keeping our other expenses down, this hasn’t hit us hard.